Landforms are natural physical features of the Earth's surface. As an element of topography, a landform is defined by its shape, location, and how it was formed. Aeolian landforms are formed by either the erosive or constructive action of the wind. As the wind erodes the land it has the effect of sandblasting the surface, leaving rock surfaces such as those found in the desert. Sandhill - A sandy or low-vegetation hill area that receives minimal rainfall and has trouble retaining the water. Beach and raised beach - The land along the edge of a body of water, consisting of loose rocks or sand. These different examples of landforms highlight the many types of formations caused by wind and water. "Examples of Landforms." YourDictionary, n.d. Web. 17 April 2019. 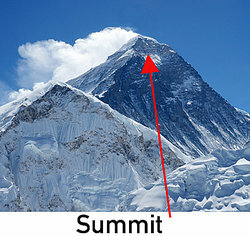 <https://examples.yourdictionary.com/examples-of-landforms.html>. Landforms are natural physical features of the Earth’s surface. As an element of topography, a landform is defined by its shape, location, and how it was formed.